IKK PANJAB is an initiative to bring a long-lost culinary paradise back to life. Situated in Rajouri Garden, Ikk Panjab celebrates the food and culture of the undivided kingdom before vested interests broke up the ancient kingdom. Grandmas and royal chefs shared their culinary secrets that have been lost in time. The recipes have been sourced from multiple cities and towns ranging from Lahore, Multan, Faislabad, Rawipindi, Islamabad, Gujranwala, Bahawalpur, Sialkot in East Panjab to Jalandhar, Amritsar, Ludhiana, Patiala, Chandigarh, Jalandhar, Bathinda, Hoshiarpur in West Panjab. All in all, the restaurant is a blend of multi-sensory experience of an opulent and colourful era. 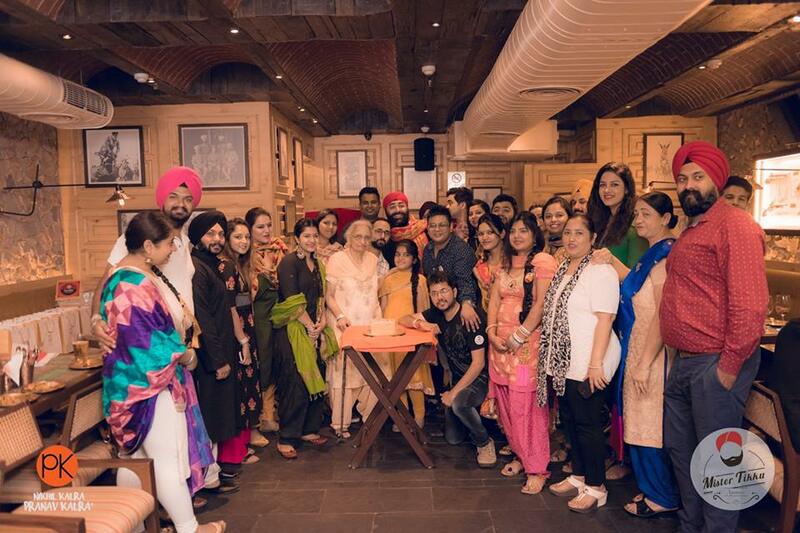 Ikk Panjab, the renowned Indian eatery organised an afternoon full of food, cherishing the culture of Punjab in the presence of Ms. Kamlesh Gill, people’s favorite Dadi and Mr. Vikramjeet Singh Rooprai. The restaurant honours the undying spirit of the land of five rivers and enthrals its customers with authentic delicacies of Punjab. The event was led by Mister Tikku which is one of Delhi’s most-loved community of food enthusiasts. The event kickstarted with Vikramjeet’s storytelling about the rich Sikh history which triggered nostalgia in many present there. He unexplored some of the interesting unknown facts of Punjab and is known as the founder of India’s largest Heritage-Hobby club. That’s not it, the key highlight of event was Dadi, Ms. Kamlesh Gill from the movie Vicky Donor. At an old age, she is brimming with enthusiasm, relishing every bit of the event. Everyone was dressed up in typical Punjabi outfits matching the theme– Salwar Kameez and Kurta Pajama. The food was finger licking good and gave total Punjabi vibe. Highlights of the afternoon were Dhoodh soda- Punjabi Special Drink, IP Butter Chicken, Pathan di Kesar Badam Kulfi and mouth-watering Jalebi. In addition, special gift hampers from Sattviko and 5 special prizes from 1469 original were given.